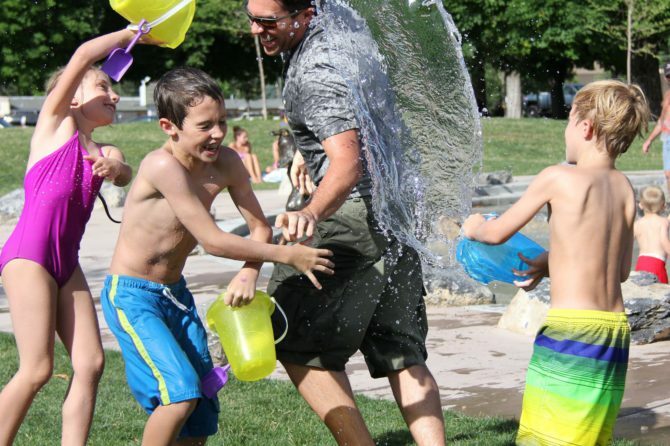 The summer break may be filled with endless possibilities of fun for kids, but it can also come with just as many worries and demands for parents. 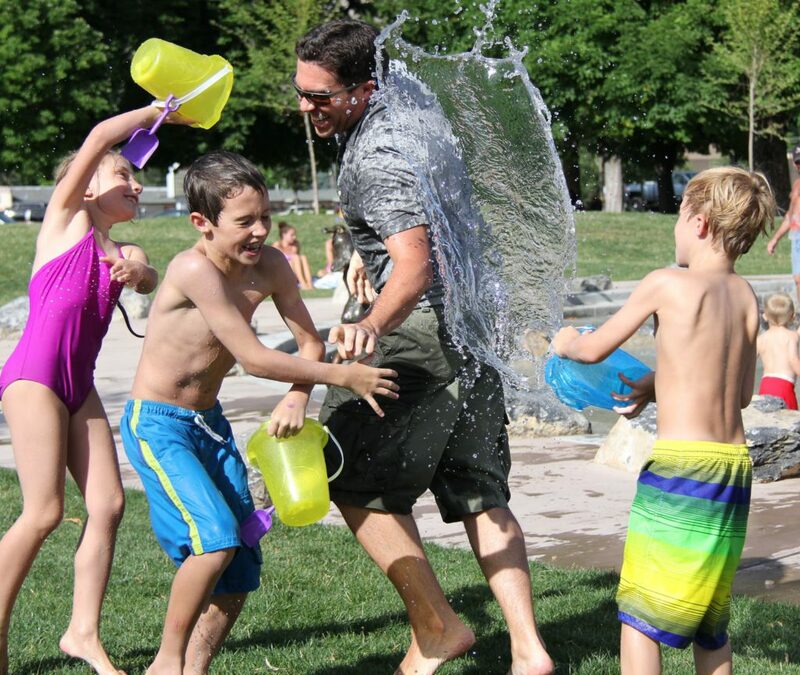 Here are 5 tips how to minimize or combat summer challenges. Include the children when making plans. You want your kids to cooperate? Ask them for their input when making plans. They’ll be less likely to throw a fit in the grocery store aisles when they have helped you determine what time of the day you should go shopping. Asking children to help you with even small decisions like, “Should we go to the market before lunch or after lunch?” helps empower them. And when they feel powerful, there’s less urge to misbehave. While there may not be a rigid school schedule to stick to, it’s important to keep a steady routine going, for your sake and your child’s. Kids thrive best when they know what to expect, so keeping wake-up, meal and sleep times consistent will help regulate the day. It might even help to designate times of the day that they play outside or read quietly. As advised in Tip #1, collaborate with your kids on building this routine! Write it down (or draw it up) where everyone can see it. All the sudden, it’s not YOU telling them it’s nap time – it’s the schedule that’s telling them. How cool is that? Instead of just letting them do whatever and hoping for the best, engage your children in all the normal tasks that need to be done – like making dinner, doing the laundry, or tidying up. It may take longer for the chore to be completed initially, but the rewards are three-fold. It will keep them occupied, it will lessen your workload (especially the second time around) when you won’t have to “train” them as much, and it will teach them a life skill. Approach them from this angle: “I need your help with …” rather than simply ordering the kids around, especially if they aren’t yet accustomed to having chores. Limit screen time, even during the summer. Yes, there are more hours to fill up in the day, but that doesn’t mean kids should spend more time staring into a screen (television, computer, video game device, phone, tablet, etc.) for any longer than normal. Summer is the time to discover new talents, explore new hobbies, and to play physically! Turn off the screen, and whole new worlds will open up to your children that they may not have otherwise discovered. One of my client’s children was never a big reader until we decided to reduce his screen time. Without the option of TV, he ended up picking up a chapter book mom bought him months before. He loved it, and the child is now a voracious reader! These days he’ll often chooses a book over TV, even when the option TV is available to him. Another great side effect of limited screen time is that your kids aren’t as exposed to the blitzkrieg of commercials for junk food, toys, etc.! That means less whining for you to listen to on your next store run. Have fun! That means you, Mom and Dad! Summers are so full of promise and possibilities for children. It’s unfortunate that we lose that sense of summer wonder as adults! Even if you work, take advantage or the longer days to spend time with your children and to have fun with them. Model what play and self-care look like as adults so your kids will know what to do for themselves! at your HOME, OFFICE, via TELEPHONE or SKYPE? discounted session(s) NOW and schedule a session after the expiration date! If you like this article please forward or share it on social media.